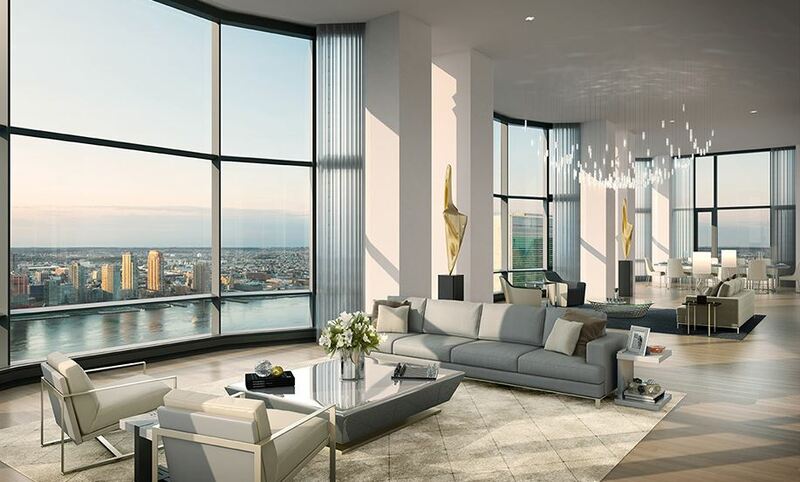 50 United Nations Plaza condominium is a striking addition to the East River skyline. 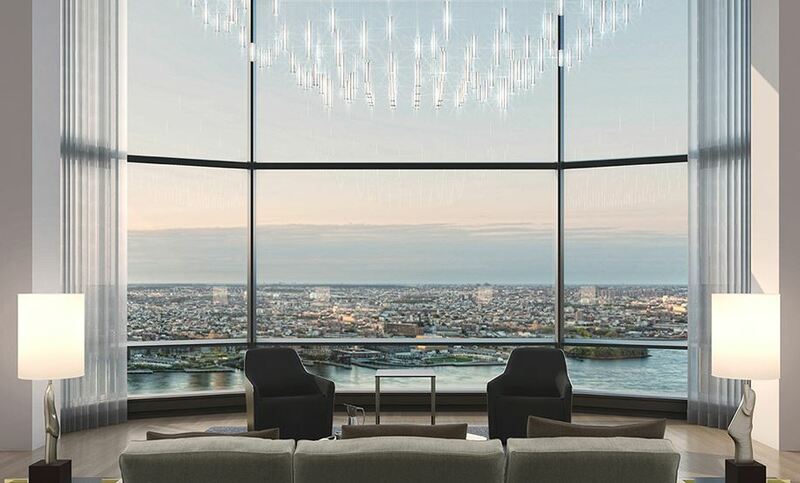 50 United Nations Plaza has been designed by celebrated architects Foster + Partners and developed by legendary Zeckendorf Development and Global Holdings. 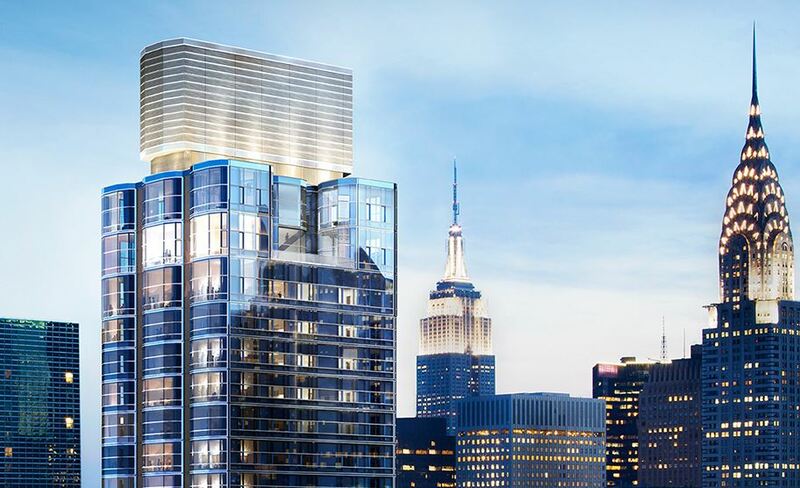 From the shimmering exterior of glass, burnished gold and stainless steel to the oasis-like calm of the motor-court and lobby, every detail of the striking 43 story tower has been thoughtfully considered. 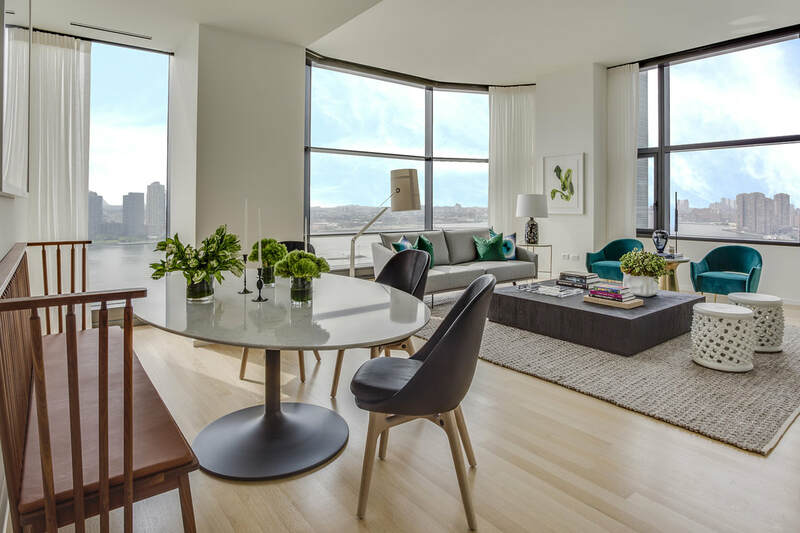 All 88 residences feature at least one coveted corner exposure and deep bay window that capture an abundance of natural light while framing incomparable views of the East River and Manhattan skyline in which the Chrysler Building, The Empire State Building and The United Nations Sculpture Garden. 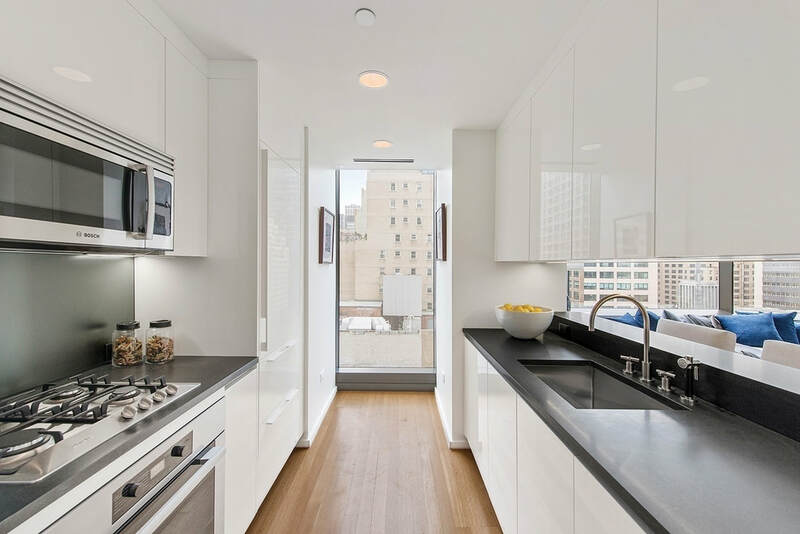 Interior finishes include solid white oak floors, custom hardware and natural stones of the highest quality. Kitchens are outfitted with Varenna white lacquer cabinetry and top of the line appliances from Miele and Sub-Zero. 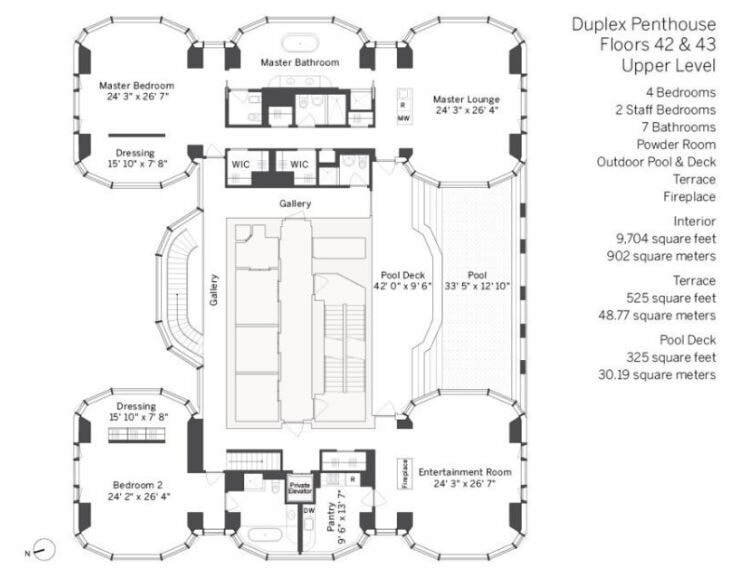 One and two bedroom residences feature 9’3" ceiling heights. 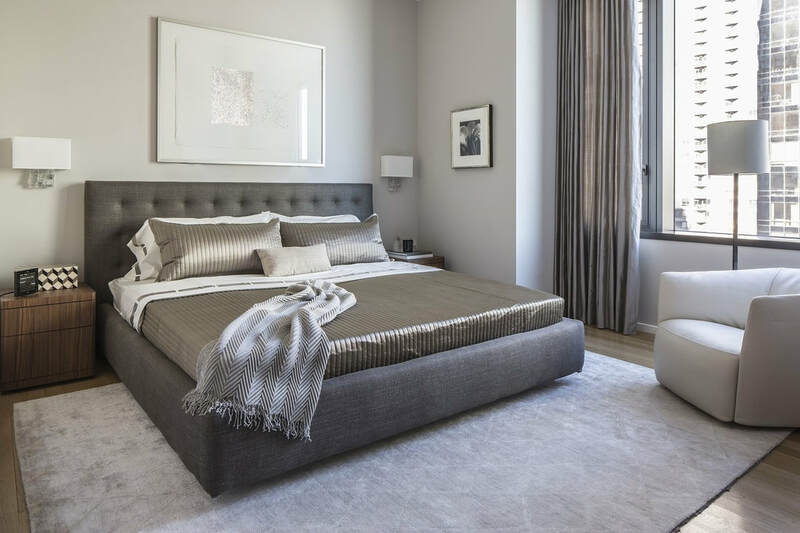 Three bedroom residences have semi-private landings, 11’3" ceilings and living and dining rooms with sweeping views of the East River. 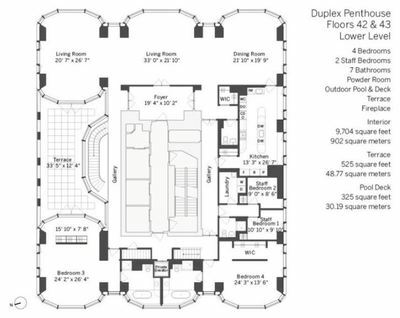 All penthouses have private landings, ceiling heights of 11’3" to 12’8", four exposures, four to five bedrooms, staff-rooms, and many other attributes that make these residences suitable for entertaining on a grand scale. 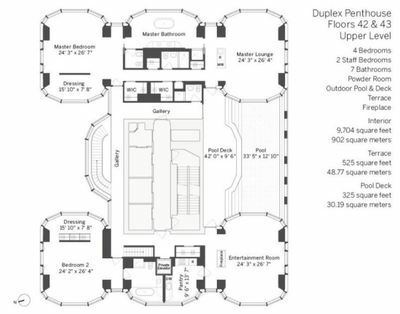 In addition, the Duplex Penthouse has a large terrace accessible from the main living area and a private mosaic tile infinity edge private pool with ipe deck located on the upper level, a glamorous bridge between the Master Bedroom Lounge and Entertainment Lounge with gas fireplace and catering kitchen. 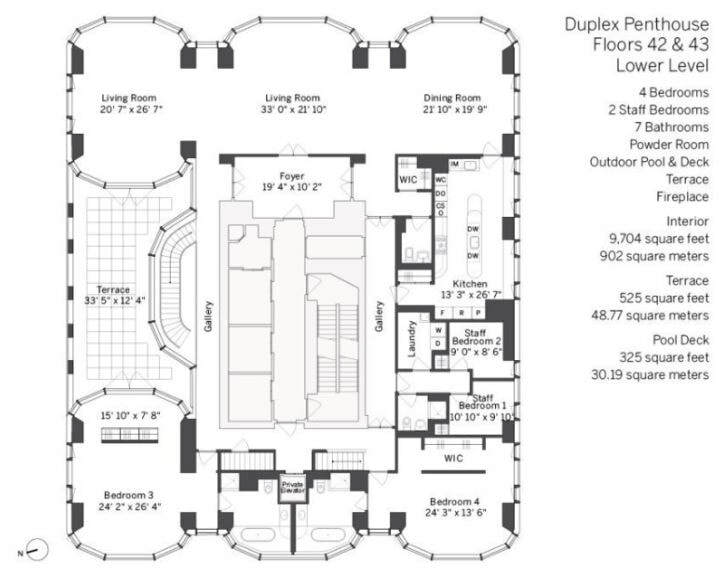 Parking spaces, temperature-controlled wine cellars and storage units are also available for purchase. 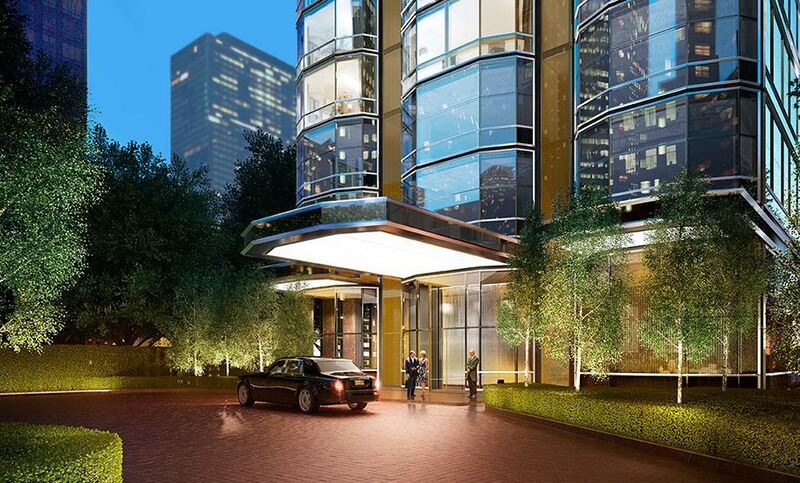 Residents are treated to the rarest of city amenities, a gated entry which opens onto a landscaped motor-court. 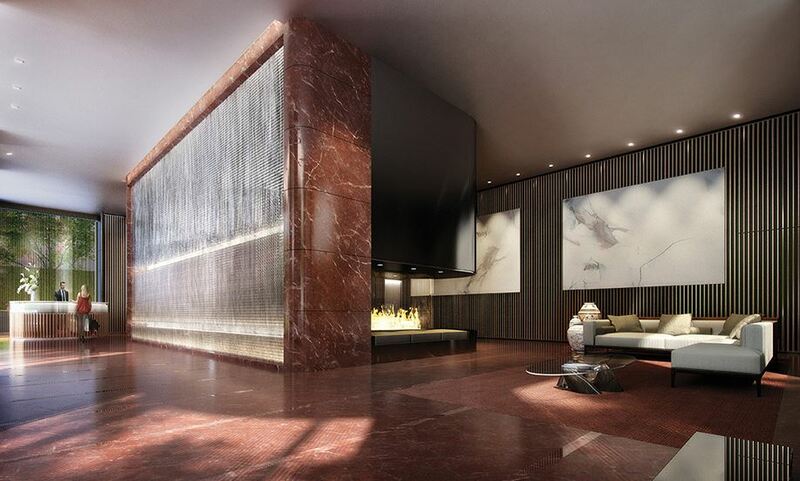 An impressive lobby with soaring ceilings, abundant natural light, a 16-foot high water wall and a dramatic open fireplace evokes a calming energy. A temple to luxurious wellness, the marble-clad health and fitness center features a 75-foot swimming pool, state-of-the-art fitness center, sauna, steam room and treatment room. A conference room, children’s playroom, ancillary laundry facilities, cold storage for groceries and bike storage complete the offering. 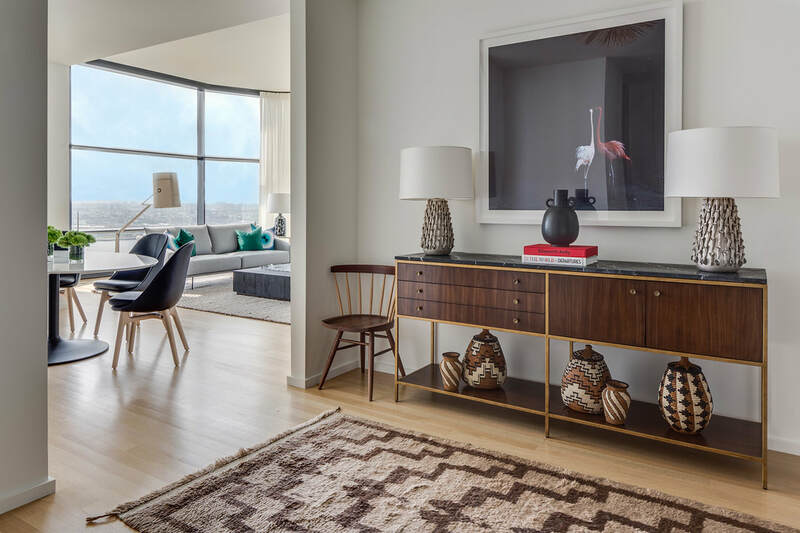 This is a full service property with Resident Manager, Concierge, Doormen, Valet and Porters. 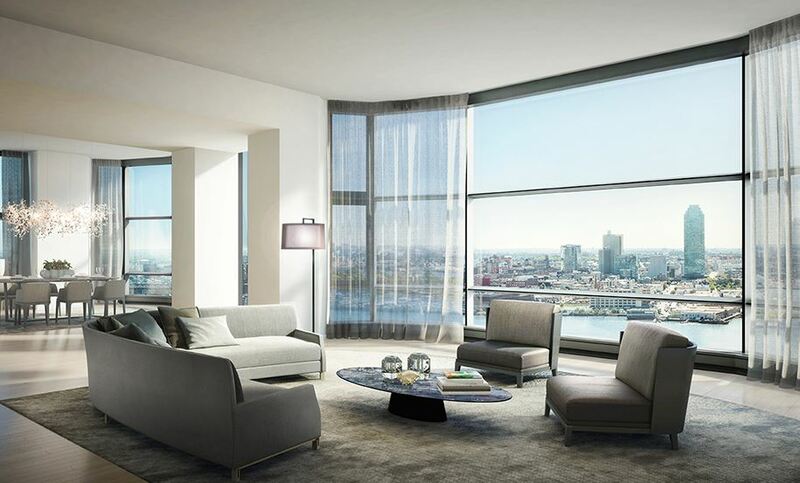 Located across from the United Nations, this 44-story luxury residential tower was planned with the international diplomatic community in mind. One parking spot will be guaranteed for each apartment in a secure garage to meet the needs of the tower’s future residents.